Fifty years after the formation of Amsterdam's Provo movement we take a fresh look at the urban landscape which inspired and accompanied the group in their revolt against the controlled and sanitized Dutch capital. 2015 marks the fiftieth anniversary of the formation of the Provo’s, the young anarchist group who brought politically charged happenings and improvised events to the streets of the Dutch capital. The group’s sympathies for civic, social and libertarian causes paved the way for Amsterdam’s reputation as a Mecca of counter-culture and youthful revolt. This illustrated case study examines eleven sites where the Provo besieging of civic buildings and monuments unwittingly binds the history of the group to the fabric of the city, and subtly asks the reader to consider the juxtaposition between the revolutionary actions of yesterday to the un-politicized and sanitized landscape of today’s capital city. Deriving their name from the Dutch noun provocatie, the Provo’s, in the space between 1965-1967, grew from a ragtag group of artists, activists, and anarchists into a revolutionary force dissatisfied with the working life of Amsterdam society. Playful street insurrection became their main weapon and employed it widely in their war against unjust authority, namely that of the Church, the Monarchy, the police, and the local government. In June 1966 public support allowed the Provo’s to win a place on the Amsterdam city council where they issued their policies: Prevent the depopulation of the city center; the right to hold free happenings in public spaces; streets to become play areas free of motor vehicles; the Royal Palace to be reverted back to a city hall; unlocked bikes to be left in the streets for free public use; the demolition of a monument dedicated to a former Dutch colonial general. The Provo’s playfully employed the language of ritual and theatre to metaphysically transform specific landmarks into totems of protest. Urban structures which represented failings within civic life became their target. In this respect architecture didn’t merely provide incidental settings for the groups actions, rather it became an accessory and accomplice in their challenge to authority. 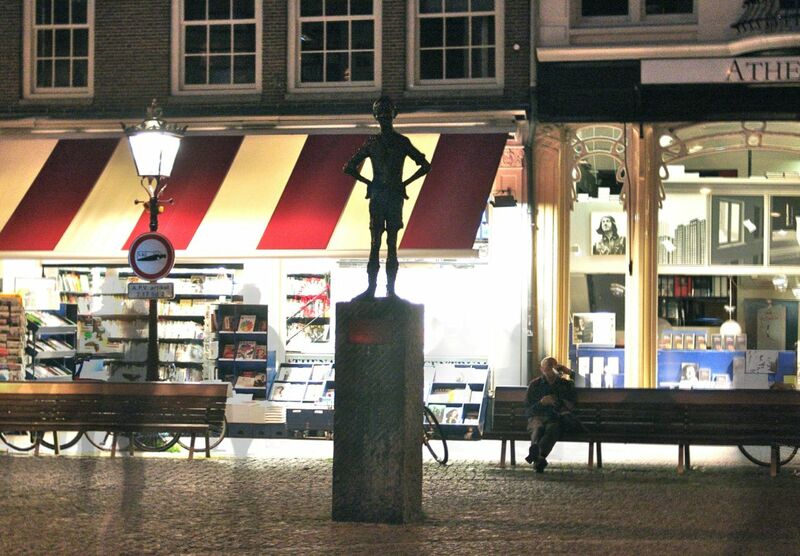 Het Lieverdje (The Little Darling) is a statue situated in a small central square known as Spui.A small plaque placed on it’s stone plinth reveals it was financed by a leading Dutch tobacco manufacture of the time. 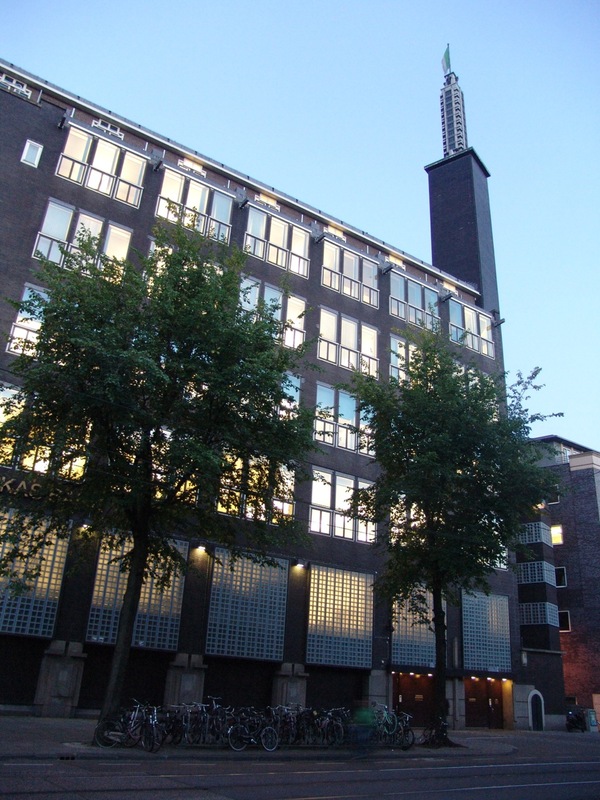 To Robert Jan Grootveld, a young Amsterdammer and performance artist, the unveiling of this gift from a cigarette factory in 1960 was actually the unveiling of a monument to addicted consumers enslaved by narcotics, the media and advertising. It was from under this statue in 1964 that Grootveld started his weekly Lieverdje Happenings: performances and effigy burning meant to defeat the encroaching tyranny of consumerism and awake docile masses. And it was here that Grootveld met Van Duyn and Stolk, two young anarchists promoting their periodical Provokatie. These figures became the mainstay of the recurring Saturday night Happenings which often concluded with Police participation in the form of confrontation, violence and arrests. And so it came that by 1965 those gathering under Het Lieverdje became identified under the name Provo’s and the diminutive bronze statue had metamorphitized into a totem at the center of it all. In 1965 the group found another focus to manifest their dissatisfaction. 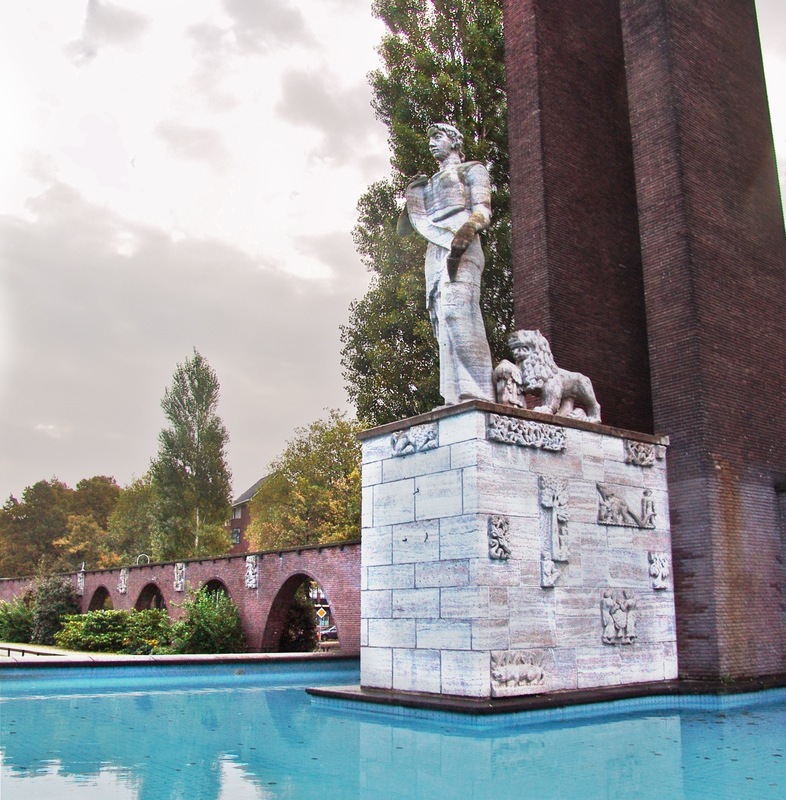 The Van Heutsz Monument in the leafy south of the city was constructed in 1935 and dedicated to the glory of General van Heutsz, the Governor General of the Dutch East Indies. To the Provo’s it was a monument to colonial militarism and the pretensions of a population failing to recognize the brutality of its imperialistic past. Like the statue at Spui it too became the regular target of defacing in dissident scenes of ritual chanting and effigy burning. Built in 1672 as a wealthy merchants house, the house on the Herengracht has served as the formal residence of the city mayor since 1927. Briefly, though, in 1965 it became an improvised monument to civic injustice. The property’s daubing in white paint during a night time assault resulted in a major police crackdown on those in the Provo movement. The Consulate of the United States of America. In December 1965 a Provo splinter group calling themselves the Bastaard Group organized the first anti-Vietnam war demonstration in the Netherlands. It took the form of a sit-in at the entrance of the U.S consulate at Museumplein and concluded with the burning of the Stars and Stripes and a violent police break-up. 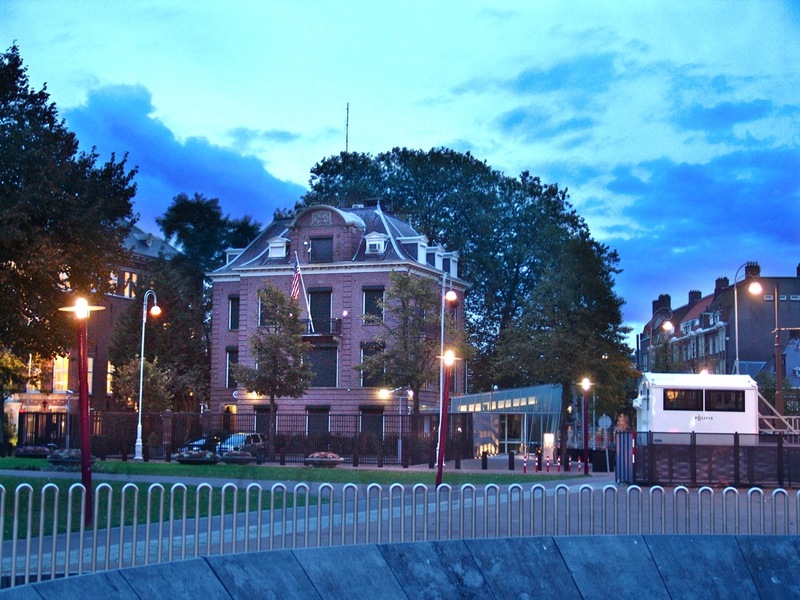 After their forced removal from the grounds of the U.S consulate some protestors redirected their frustrations towards another monument of American imperialistic intentions: The Amsterdam office of American Express. There they unleashed their dissatisfaction of an immoral war upon the corporate office windows. The monument commemorates the February Strike of 1941, a demonstration in protest of the occupying Nazi regimes treatment of the city’s Jewish population. 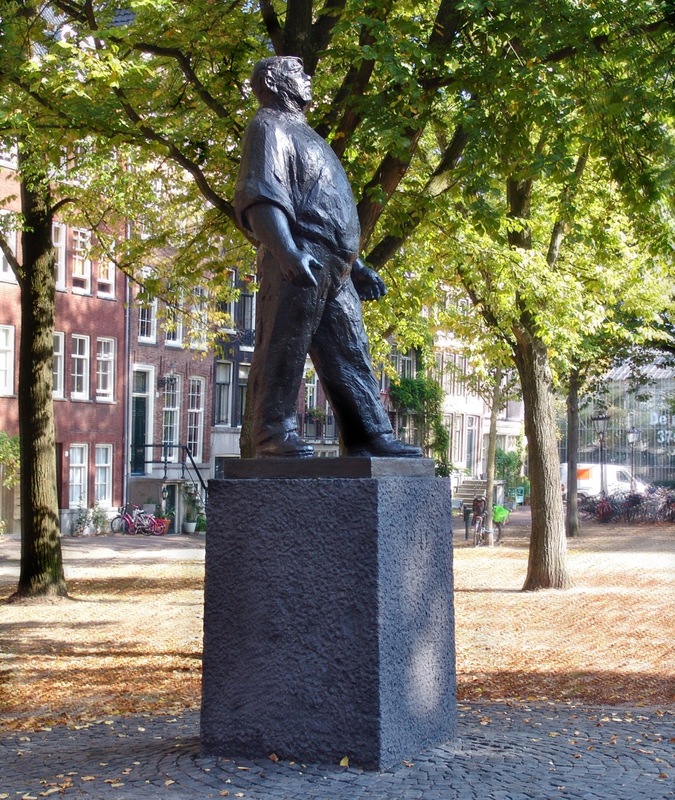 In 1966 the Provo’s, under the name De Parel van de Jordaan called upon “Amsterdam’s Revolutionary Proletariat” to meet at this symbol of antifascist resistance on March 10th and march upon the Royal wedding ceremony taking place a kilometer away. Objecting to the public cost of Princess Beatrix’s marriage to a young German with former Nazi connections, Provo’s made their way into the city center where they disrupted the Royal carriage procession with smoke bombs and live chickens. 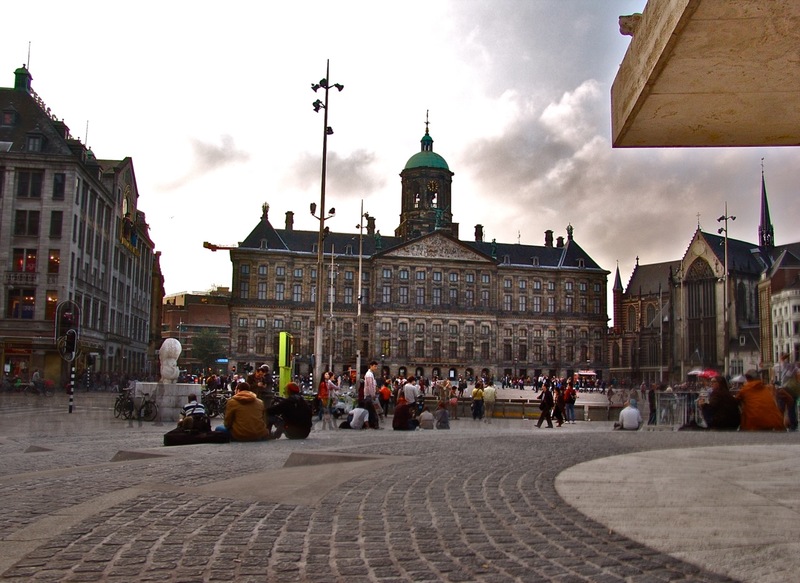 The Royal Palace on Dam Square is the ultimate monument to those in highest levels of Dutch social stratification. Built in 1655 as the town hall, it was taken away from the city in 1806 and converted into a palace for The Netherlands first monarch, Louis Napoleon, whose inauguration not only marked the end of the building’s municipal function, but also marked an end of the Netherlands being a Republic. In March of 1966, following a screening of a film documenting the police brutality towards protestors of the the Royal wedding a crowd moved to the Palace via the Lieverdje, setting fires in the portico’s of the building and etching markings into its sandstone facade. A month later on Queen Julianna’s birthday, Queens Day, Provo’s celebrated the nationwide festival by encircling the Palace on white bicycles . In the adjacent public square a beauty contest was arranged in honor of the aging Queen, followed by an egg throwing contest between police and protestors. 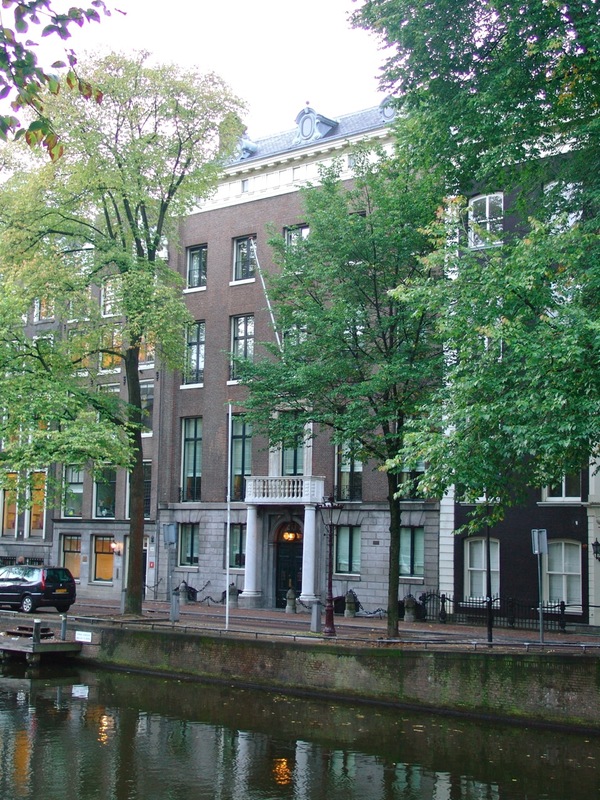 Along with his official residence on the Herengracht, during the turbulent mid-sixties Gijs van Hall, the Mayor of Amsterdam, also owned and maintained a modest newly built apartment in the wealthy south of the city. The Provo’s being a vocal critic of van Hall and his policies congregated outside this private possession on a number of occasions to shout disapproval of him. 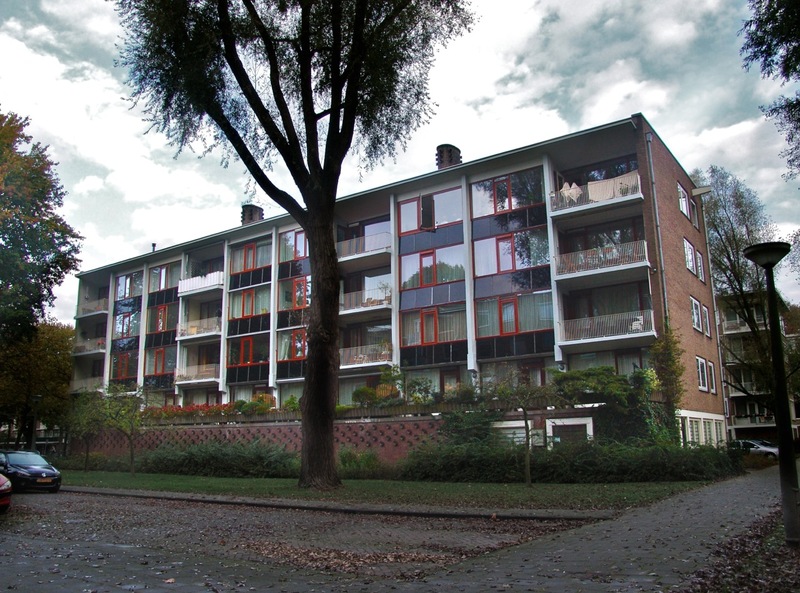 Spring of 1966 saw the start of regular sit-ins outside the small prison on Amstelveenseweg. Demonstrators sought to protest the imprisonment of Provo members who had been arrested in the wake of the anti-Royal wedding events. Action often took the form of theatrical processions from the Lieverdje statue, causing traffic congestion along the way. In June 1966 a demonstration by construction workers over a cut in pay escalated into a three day riot within the city. The disturbances began when the populist national newspaper De Telegraaf had wrongly blamed the striking workers for the death of a man. 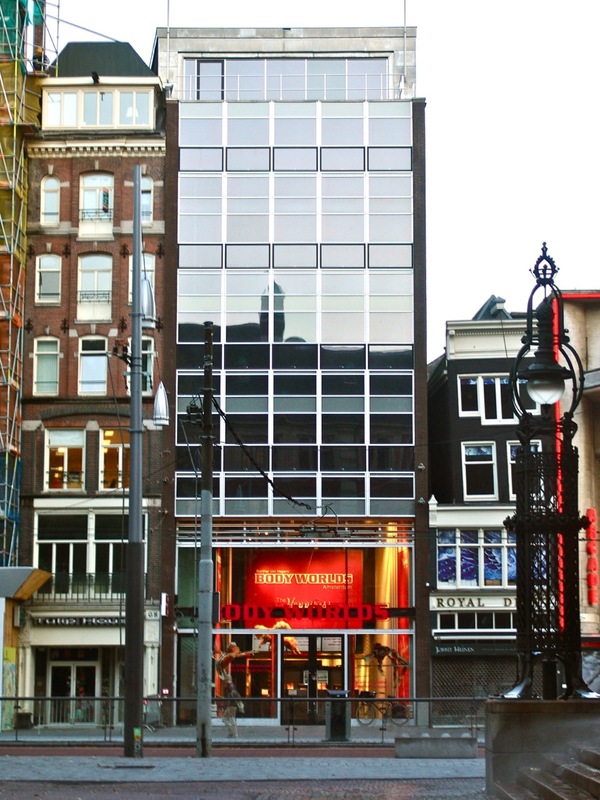 This caused the furious energy of the protestors, including the Provo’s who had joined them, to be turned towards the newspapers Amsterdam HQ and a full blown riot and ransacking of the building ensued. As the actions of the group grew and became more direct, some socialist and communist groups began to distance themselves from the Provo’s. To them, the aim of provocation seemed to have become creating violence and disruption for the sake of violence and disruption. The Dadaist social intervention of the original happenings were lost in the rioting and the publics sympathy for the group was waning. May, 1967, in a last act of urban re-appropriation, a part of Amsterdam’s Vondelpark became Speakers Corner where the death of the Provo movement was ceremonially announced. The amassed crowd then moved onto the Lieverdje for the final act of Police provocation. Black has long been the identifying colour of the anarchist movement, yet in an act of subversion the Provo’s went against type and chose white as the colour of their banner. White was light, bright, clean and pure. The daubing of white paint, their policies known as White Plans, and the wearing of white clothes contrasted with the dark uniforms and solemn palettes of authoritarian officialdom leftover from the nineteenth century. The Provo’s refusal to assimilate was continued in their short-lived excursion into mainstream politics: Once they became an organised party with places on city council the group dissolved and went their separate ways. But what remains of the architecture and monuments which once represented the ills of society? Most of the seemingly innocuous structures now stand in exactly the same spot, with the same function as they did 50 years ago. 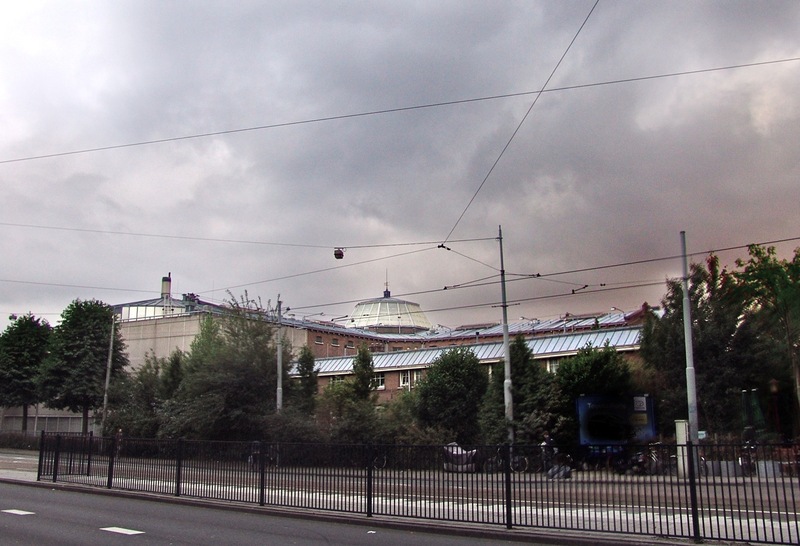 The exceptions being that the Dokwerker Momument was moved slightly during the construction of the metro line in 1970; The American Express office now houses a tourist attraction; The offices of De Telegraaf long since moved from the city center; Gijs van Hall’s former private residence is now someone else’s private residence. 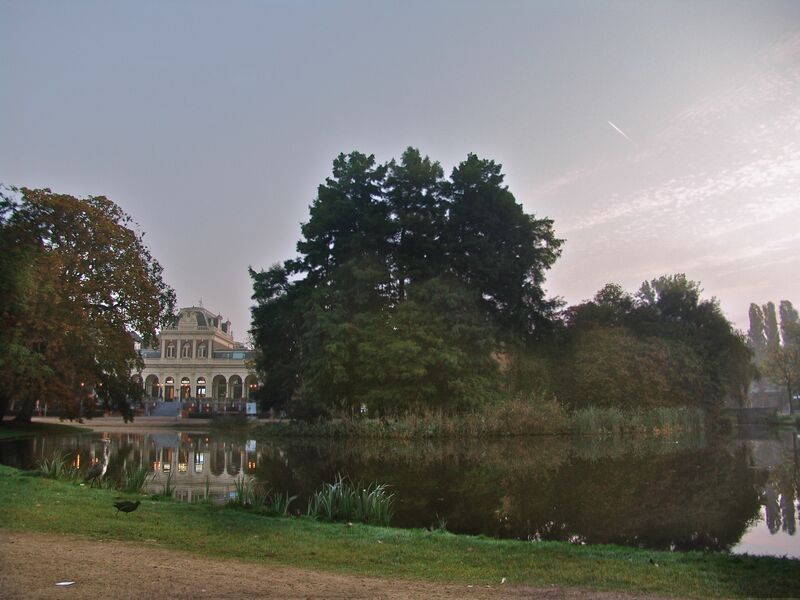 The most notable change being the Van Heutsz Monument which has, after many years of continued attacks and protest, had it’s name changed. It is now the Monument Indië-Nederland and celebrates the shared history of Indonesia and The Netherlands, rather than the conquest of one over the other. With most of the sites mentioned in this study surviving untouched, it is interesting to see that they are no longer in any way politically charged (except of course for the U.S. Consulate), yet the Netherlands still experiences similar concerns as 50 years ago (namely that of over intrusive policing, commerce having stakes in politics and culture, media providing trivial diversions, lack of affordable housing, health issues, road safety, etc). So in the Netherlands today where does the visible disruption, the shattering of glass, the challenge to the materials of urban order preside? Has society been managed to the point that breaking the authority of the urban landscape is now impossible, unnecessary, too dangerous or worse still…pointless? “Provo calls for resistance wherever possible.” wrote Roel van Duijn in the September 1966 edition of the Provo periodical… “Provo realises that it will lose in the end, but it cannot pass up the chance to make at least one more heartfelt attempt to provoke society.” And so it is that perhaps the totem poles of the Western Asphalt Jungle need once again to be daubed with white paint in the name of creating a city organised for, and run by, the people who live there. A visual artist by profession, Lawrence's work explores connections between landscape, Romanticism, Libertarianism, alienation, mental health and the creative process. Originally from Stoke-on-Trent in the UK, he moved to the Netherlands to follow a residency at De Ateliers, an independent artists' institute located in Amsterdam, the city where he has now chosen to base himself.